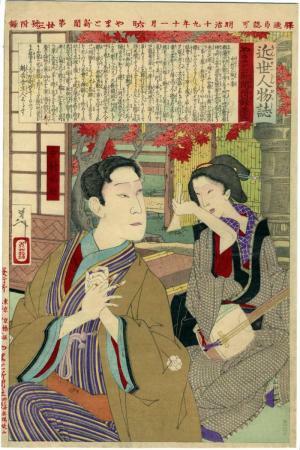 Omitsu, the wife of kabuki actor Nakamura Shikan and her adopted son Fukusuke. Insert No. 2 for Yamato Newspaper.